Mix and Chic: Home tour- A gorgeous, modern edgy home in Ottawa! Home tour- A gorgeous, modern edgy home in Ottawa! This modern 3,700-square-foot Ottawa home belongs to Sarah Blakely which she shares with her husband and two small boys. Even though she is a fashion lover, she has never been committed to colors and her home is an extension of that aesthetic. Although her home is fairly neutral but it is far from boring! Don't believe me? Check out her fabulously neutral home below! Isn't this home stunning? I am absolutely in love with the dramatic and highly contrasted black and white color palette. 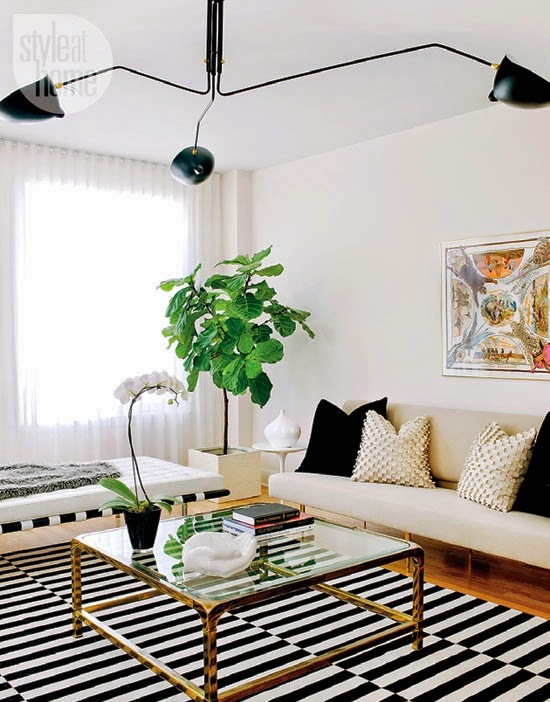 Combining sleek and edgy silhouettes, modern sculptural furnishings, metallic light fixtures and wood elements, this visually delightful home feels undeniably warm and stylish. Such an inspiring home! 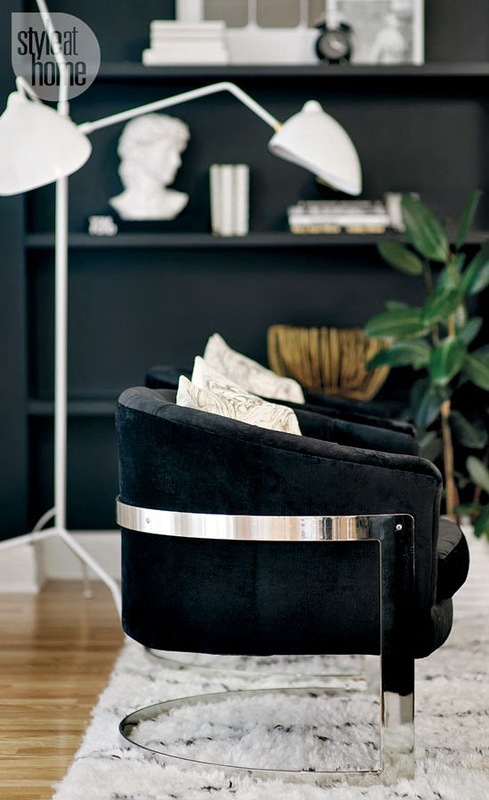 By the way, I am swooning over her glamorous black barrel back side chairs, beautiful gold tone glass coffee table and the iconic white leather daybed, what about you? Are you drawn to the modern edgy vibe or otherwise? Thoughts?